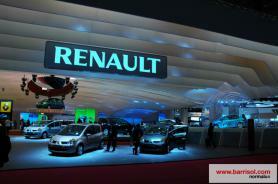 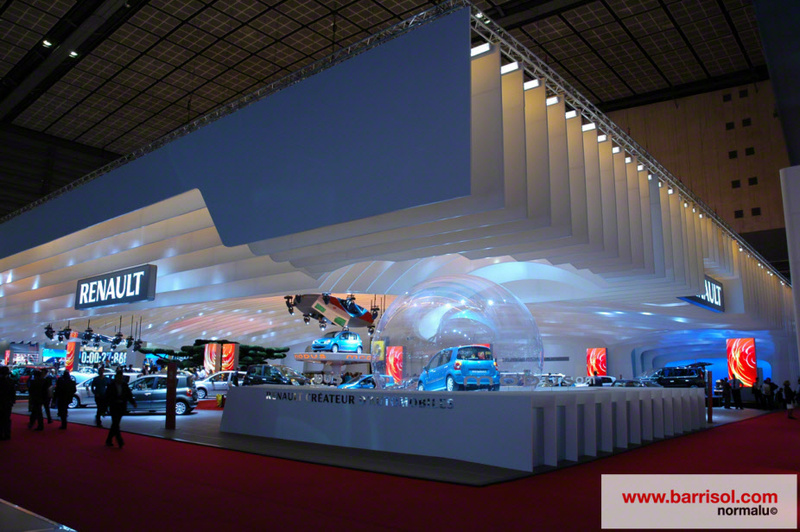 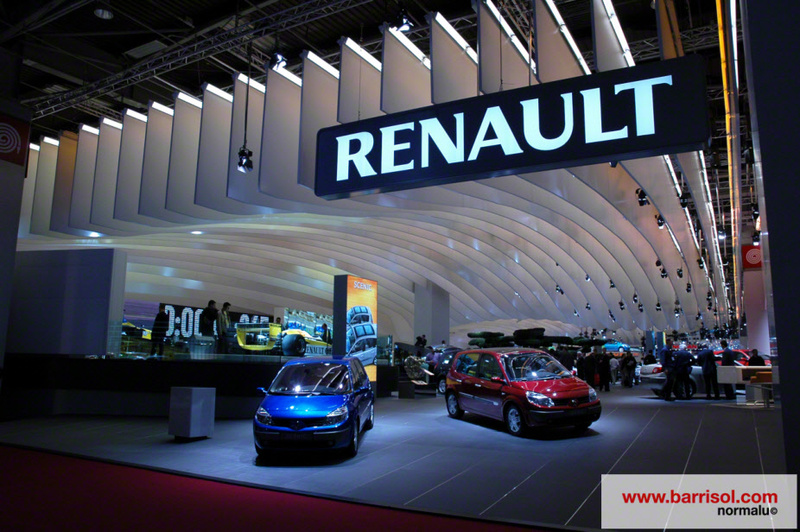 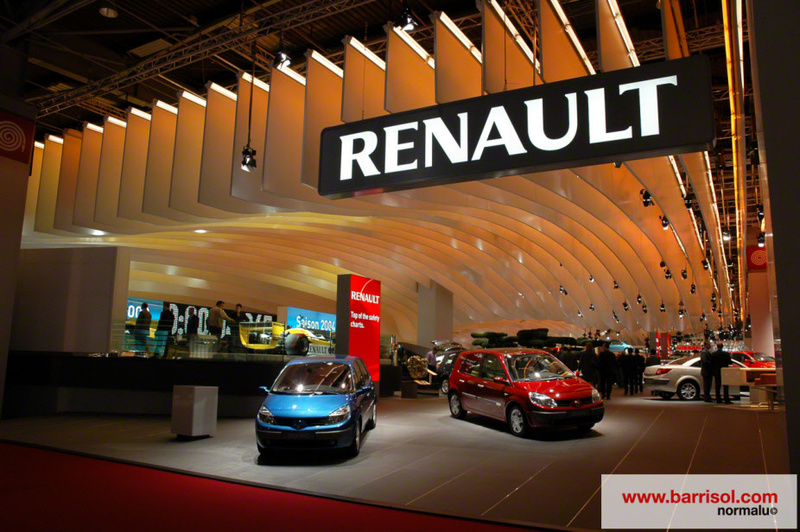 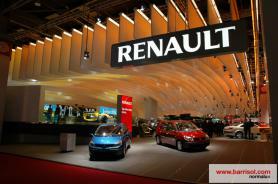 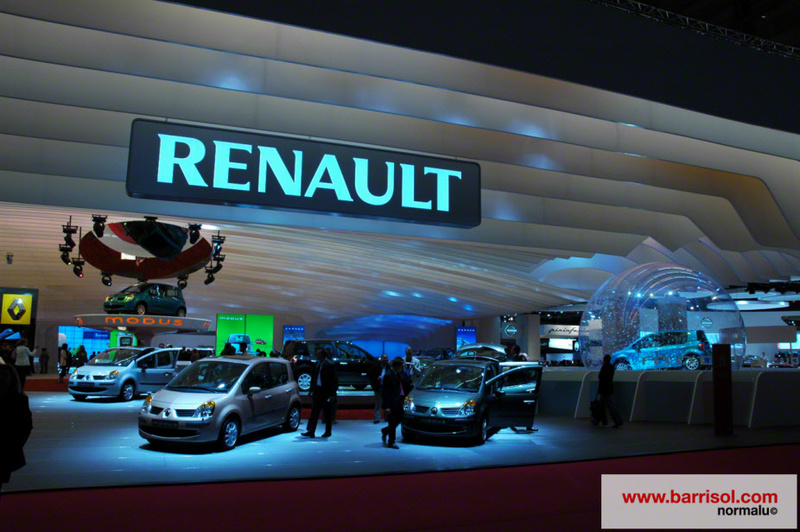 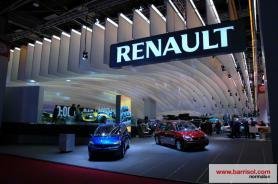 Realized by Claudio Colucci Design, the Renault stand was awarded as the most beautiful stand of the motor-show 2004, thanks to its 10.000 m2 of double skin framework covering 20.000 m² of surface. 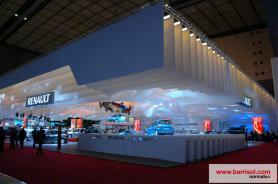 Profile BS 355/18 was especially conceived for the occasion. 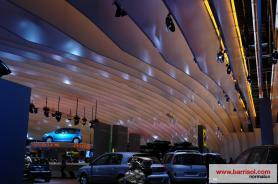 This reinforcement has created volume to give a modern design to the stand. 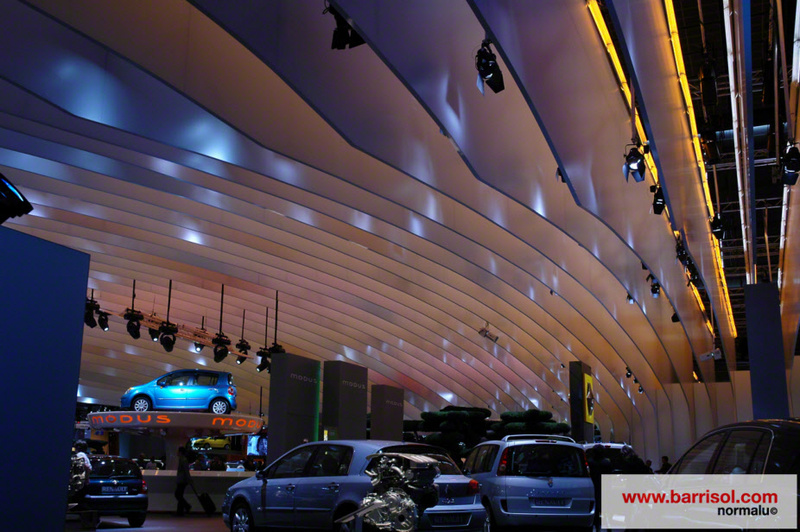 The play of lights emphasize the effect of waves creates by the structure and the Barrisol sheet.